Adobe Systems Incorporated (NASDAQ: ADBE) shares jumped over 10 percent on Thursday after the company provided better-than-expected 2018 profit forecast. The California-based company estimates earning per share for its fiscal year 2018 will be $5.50, beating analysts’ estimate of $5.21 a share, according to Thomson Reuters. Total revenue will be approximately $8.7 billion, the company said at a financial analyst conference in Las Vegas. Adobe shares jump as much as 10.03 percent to $168.39 per share in the early trading in New York. The company had gained about 63 percent this year. The company also reaffirmed its forecast for Q4 FY2017. Adobe expected the fourth-quarter earnings per share to be $1.15 on revenue of $1.95 billion. Adobe’s growth is driven by its cloud-based subscription products. 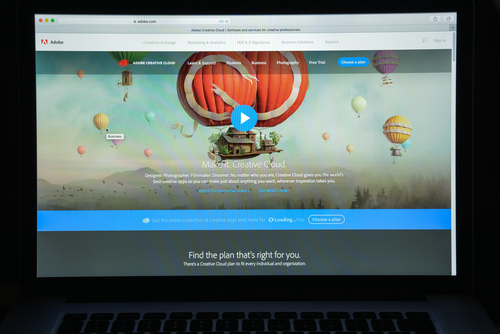 The customers now can use Adobe’s software by paying recurring fee rather than purchasing it on a one-time basis.